In the wake of ex-Bayan Muna Partylist Representative Satur Ocampo’s arrest regarding his alleged kidnapping of 14 children, one question now swims on everybody’s mind. Is he, or is he not a communist? Is he involved with the New People’s Army? Looking back in history, there are several historical accounts that links Satur Ocampo to the Communist Party of the Philippines (CPP) as well as it’s terrorist arm the New People’s Army (NPA). 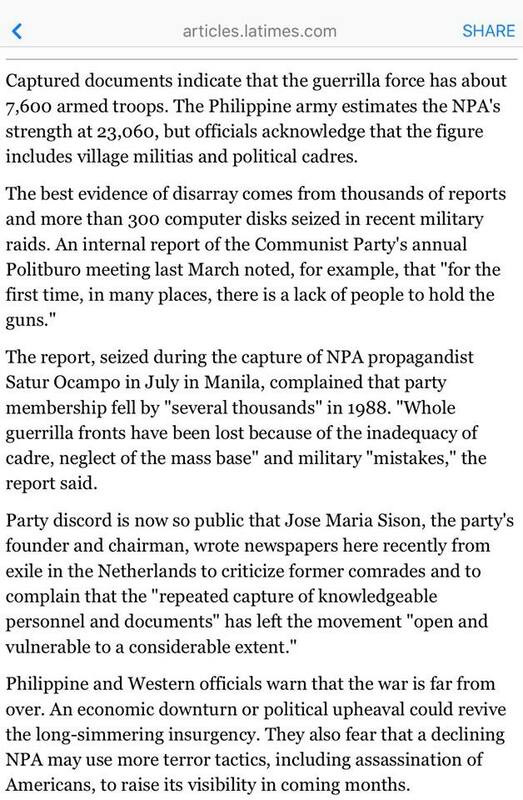 A 1989 report that was seized in July 1988 in Manila, in the middle of the strife within the CPP-NPA proves that Ocampo is the “propagandist” of the said group. 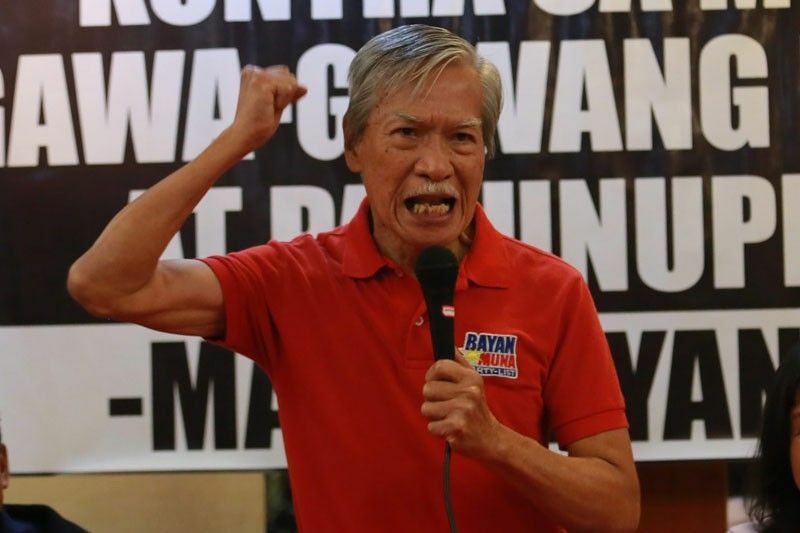 The report, seized during the capture of NPA propagandist Satur Ocampo in July in Manila, complained that party membership fell by “several thousands” in 1988. “Whole guerrilla fronts have been lost because of the inadequacy of the cadre, neglect of the mass base” and military “mistakes,” the report said. Despite his repeated denial and firm statements of “I am not a terrorist!” When he got arrested, maybe it is due time to recognise that if he was a propagandist of the outlawed group before, then maybe there is a chance (a big one at that) that he still is until today. The question is, what’s going to happen now? Are the Filipinos willing to forget what he did? Satur Ocampo, ACT Teachers Partylist rep France Castro ang others were arrested earlier this week after they were stopped in a checkpoint. In the 5 vans that they were using, they allegedly have 14 kidnapped children that they took in the wee morning from the lumads.